I've decided to make another Christmas card for this challenge. I like to have a variety to choose from when Christmastime comes around so I thought making them throughout the year would help. I chose one of the cute snowman images at From the Heart to make this card. The twist was to use a black base which worked very well with these papers from the Magic of the Season paper pack by Paper Studio. 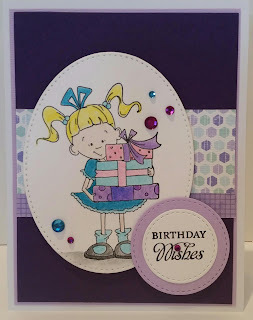 Wonderful card and great take with Sketch AND tWiSt this week @ From the Heart Stamps. You are right, you can never start to early on christmas cards !! Thanks for joining us and i hope to see you back again soon. Wow this is really sweet, love your papers and coloring. Thanks for playing along with us last week and hope to see you again this week at FTHS. Amy, this is FAB!! great take on the sketch and the twist.